Hello I’d like to make wireframe bolder, currently it’s causing eye strain for me, it’s simply too small. After is what I would like to achieve. Is it possible? 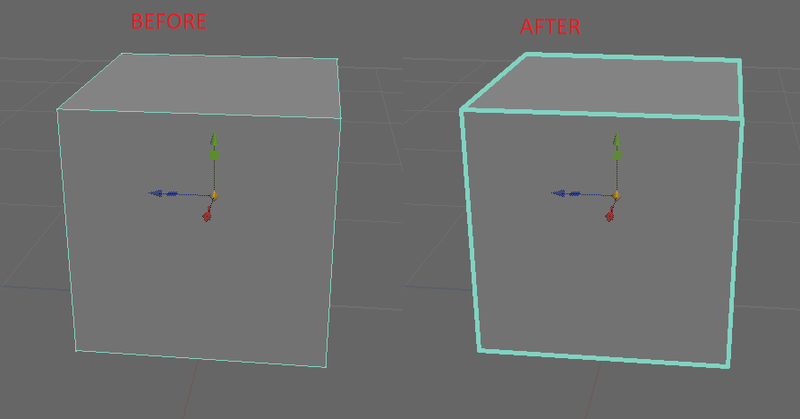 Vertex and face count…i don’t think that you can do it. But the layout - select 4 window layout from Display - Viewport layout, and then by pressing space you can maximize the one your cursor is over…and then by pressing space again, you are back in the 4 view layout. Thanks, it’s so simple and I couldn’t figure it out, although I managed to find out that I can turn on Scene Info and it displays number of faces verticles and etc.